Impact 21, a retail consulting, analytics and services company, announced its participation at NACS Show 2018 in Las Vegas. NACS (National Association of Convenience Stores) serves the convenience and fuel retailing industry by providing industry knowledge, connections, and advocacy to ensure the competitive viability of its members’ businesses. NACS has held annual meetings since its founding in 1961 and is the premier event for C-store leaders. Impact 21 Practice Leader for Customer Engagement & Loyalty, Bill Hanifin will present along with Ernie Harker, Director of Marketing, Maverik, Inc., “The Power of a Rewards Program (Let’s Get Started).” During the presentation, Hanifin and Harker will explore a number of topics, including how to evaluate if a rewards program is profitable, how to apply industry best practices to rewards programs, how to get a rewards program started, and how to identify industry benchmarks. Casey McKenzie, Principal Consultant, will team up with John Zikias, Executive Advisor, Holmes Oil Company, Inc. Together, they will present “Category Management: How to Manage Every Category.” The audience can expect to learn how to identify strategies for staying current on new products and trends, leverage market research from supplier partners to optimize profits, determine when and how to outsource and delegate specific responsibilities, and using scan data to streamline the management process. 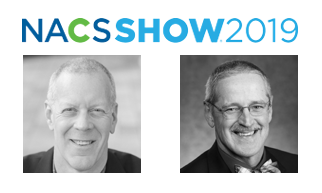 Retailers can learn more about Hanifin’s and McKenzie’s presentations, as well as Impact 21’s solutions, at NACS Show 2018 and at http://www.impact21.com/. Get live updates on Twitter by searching for #NACSShow. Connect with Impact 21 on Facebook and LinkedIn for insightful industry trends and best practices.